The second round isn't worth watching on TV because it lacks (A) a smug David Stern, (B) eight button suits, and (C) pronounceable names. 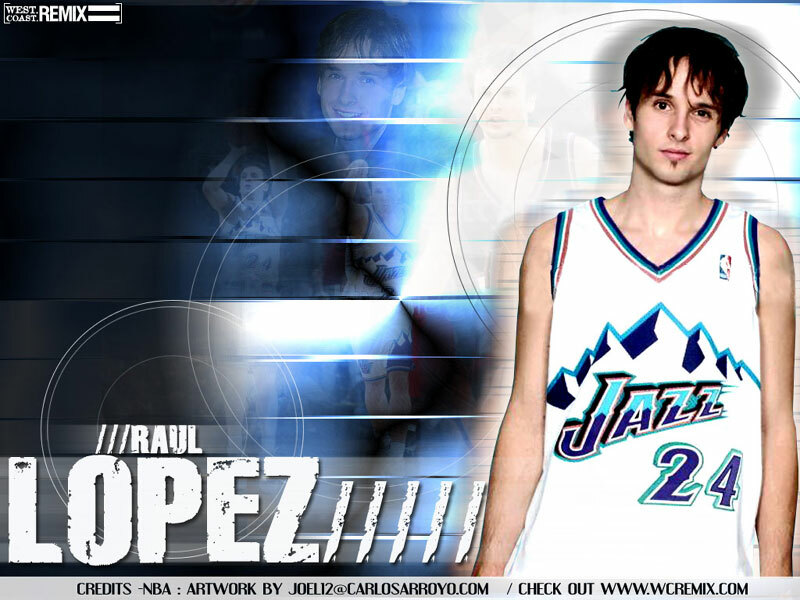 But it looks like the Jazz got a couple of real winners in the second round. 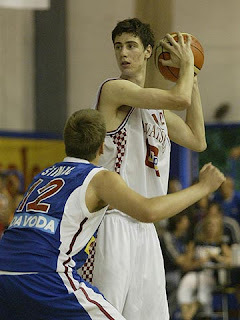 Ante Tomic, C, Croatia: According to scouts, this guy is a 7"2' giant (2.18 metres for TCG's european fans) with long arms. That is a good sign. He also "has serious problems matching up with even subpar European level post players." That is a bad sign. Apparently Ante (pronounced "Auntie" until I'm instructed otherwise) is not "only skinny, but extremely weak." So weak in fact, that it's doubtful whether he has the ability to put on much muscle. He is not a good shot-blocker (but what 7''2' player is?) and he prefers layups over dunks, finding the latter unbecoming, apparently. And the best part is, his NBA comparison is Gregor Fucka, a man who never actually made it to the NBA. I could make some off-color jokes about Mother Fucka being so proud of the comparison to her son, but I'll refrain. If Tomic can toughen up (a huge if) he has good skills for the NBA. Tadija Dragicevic, PF, Serbia: On NBA.com's list of draftees, Tadija is one of only two players with no link accompanying his name. What does that mean? 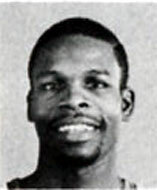 No one at NBA.com thought he would be drafted. Chad "CTR" Ford has never heard of him either, but does note that he's put up great numbers in the ULEB. From what I can gather, this guy is an unathletic scorer who struggles to rebound, play defense, and is not much of a hustler. Basically, it looks like he's a 6''9' mid-range standstill jump shooter. Draftexpress estimates his chance of making an NBA lineup as "close to nonexistent." He's already 22 so his upside is quite limited. Looks like a real coup for the Jazz so late in the draft. Hopefully Kevin O'Connor has secret scouts that know something that no one else does. If you ever see these guys on the streets of Salt Lake, Belgrade, or Zagreb, give them a warm embrace. Welcome to the Jazz family, Ante and Mr. Dragicevic!! And Tadija looks like a hipster from the West Village. Some solid second rounders, boys. I like your post so interesting that's why I enjoy reading this.